Beatons Blog : Beatons Petersfield - A Second Visit to the Jungle! Beatons Petersfield - A Second Visit to the Jungle! 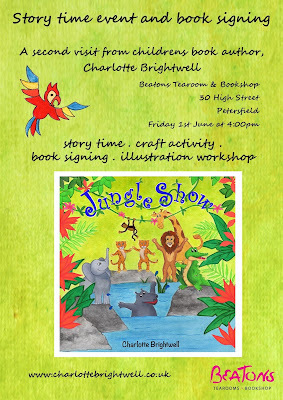 An elephant's coming to Beatons Petersfield on June 1st 4pm! 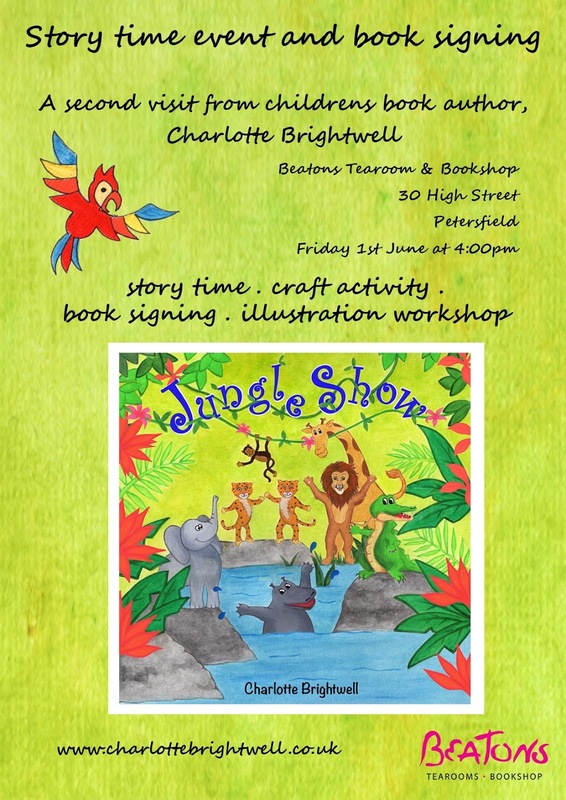 Local Beatons children's author Charlotte Brightwell returns to the tearooms in Petersfield on Friday 1st June at 4 pm for another mix of story-telling and activities for young children. 'The Jungle Show' was a huge success and requests for more have been granted! FREE with your drinks. Charlotte’s always loved creating: from drawing and painting to up-cycling and renovating. She also loves children and is a local Primary School teacher. Read more about her on our Hampshire Authors Page here. We’re right with Charlotte in believing it’s important to nurture a love of words, rhyme and story in young children. Read more on her website by clicking here and see you in the tearooms very soon. Remember we have a lovely stock of children's books, including Charlotte's along with milkshakes, smoothies and our sparkling sodas.